Let your travels inspire your style with this beaded necklace. 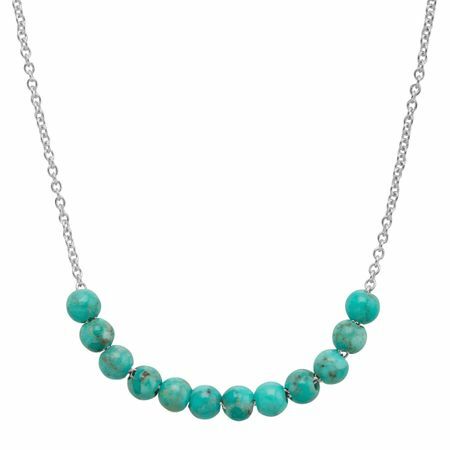 Compressed and stabilized turquoise stones are strung side-by-side on this sterling silver chain for an effortless and subtle pop of color when you need it. Necklace measures 18 inches long, plus a 2-inch extender for adjustable length, and features a lobster clasp. Piece comes with a “.925” sterling silver quality stamp as a symbol of guaranteed product quality.